Onkyo has introduced the world's first home theater receiver to feature DTS Neo:X multidimensional audio technologyThe DTS Neo:X technology, as implemented on the new Onkyo TX-NR1009, enables customers to employ up to nine loudspeakers with distinct direction clues that enhance the height and space dimensions of a home theater room. The Onkyo TX-NR1009 is a THX Select2 Plus Certified, 9.2-channel, network-capable home theater receiver that, in addition to DTS Neo:X, includes several audio and video upgrades compared to last year's TX-NR1008 model. These include Marvell Qdeo and IDT's HQV Vida video upscaling and processing circuits, and Audyssey's MultEQ XT audio room correction. DTS Neo:X is the industry's first 2.0/5.1/6.1/7.1-to- 9.1/11.1 conversion technology within a single algorithm. On the TX-NR1009 it offers a number of different ways to set up the speakers in a 9.1-channel home theater system. A basic 5.1-channel set-up can be complemented by one of three different arrangements: (1) the addition of surround back- and front-height speakers to bring out ambient, non-directional sounds; (2) adding surround back- and front-wide speakers to provide a more expansive soundstage; or (3) adding front-height and front-width speakers. On-board video processing on the TX-NR1009 is handled by two technologies: HQV Vida VHD1900 and Qdeo technology by Marvell. Vida offers upscaling of all 480i/p, 576p, and 720p video sources to high-resolution 1080p. Qdeo, meanwhile, performs full 4K (3840 x 2160) upscaling of 1080p sources. The Vida processor incorporates Auto HQV and HQV StreamClean to enhance video images in real time and eliminate noise in compressed video. With multi-cadence tracking, expanded 12-bit color processing, and four-field motion-adaptive de-interlacing, Vida optimizes the quality of both standard- and high-definition video images. 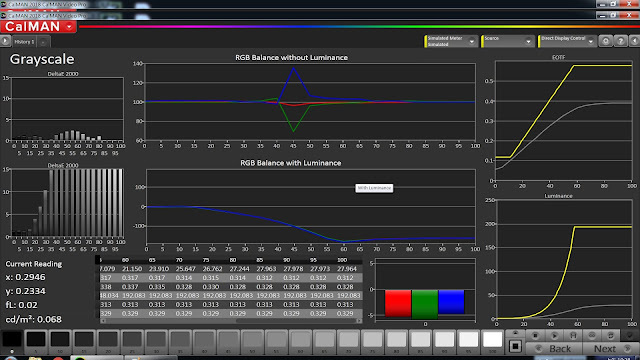 On the TX-NR1009 also supports independent ISF calibration. Like most new Onkyo receivers, the TX-NR1009 includes networking capabilities with an Ethernet connection plus front and rear USB ports for digital storage devices and Onkyo's optional wireless USB LAN adaptor, the UWF-1. Direct digital connection for iPod/iPhone is available through the front panel USB. This receiver is certified for Windows 7 and DLNA, and can playback a wide variety digital audio file formats via a home network or USB devices, and it is capable of wireless connectivity via Onkyo's optional UFW-1 wireless USB adaptor. It supports MP3, WMA, WMA Lossless, FLAC, WAV, OggVorbis, AAC, and LPCM files. An iPod or iPhone can also be connected using and optional dock connected via Onkyo's proprietary Universal Port. This U-Port can also be used for an optional HD Radio Tuner and forthcoming wireless devices. The network connection provides Internet radio and streaming music services, with preformatted service packages for Mediafly, Pandora, SlackerTM, Napster, Rhapsody, vTuner, SIRIUS XM Internet Radio, and Last.fm. The Onkyo TX-NR1009's 135-watts per channel amplifier section achieves THX-Select2 Plus Certification. Each of the nine amplifier sections employ the company's low-negative feedback Wide Range Amplifier Technology (WRAT), three-stage inverted Darlington circuitry, and the High Current Power Supply (HCPS) uses a massive transformer. In addition, TI Burr-Brown 192 kHz/24-bit DACs are used on each channel. The Onkyo TX-NR1009 uses several different audio processing technologies to help improve the room acoustics and to enhance the ambience dimension of the listening experience. The new Audyssey MultEQ XT room-correction technology allows full spectrum acoustic measurements from multiple locations. Audyssey Dynamic EQ provides loudness correction and Audyssey Dynamic Volume to maintain optimal listening level and dynamic range. For home theater enthusiasts who wish to explore expanded ambience with height and wide loudspeakers, they have the option of using Audyssey DSX high or wide channels, or Dolby ProLogic IIz height channels. The receiver also includes Dolby Volume processing technology to optimize the sound for any listening level. The TX-NR1009 has one front- and seven rear-panel HDMI inputs, dual HDMI outputs with lossless audio processing using Dolby TrueHD and DTS-HD Master Audio decoding. There is also a full complement of legacy analog and digital connections, including multi-channel audio, stereo, optical and coaxial digital inputs, and a phono input. There are two component video inputs, plus composite/S-Video inputs for four devices. It also has a nine-channel multichannel analog preamp output for possible use with a separate component power amplifier.